Despite a notable silence, save for the occasional springing of catch fencing or rustling of leaves in the wind, there was an air of anticipation in mid-Kent approaching 9am last Saturday. A few audible watch ticks later and a thunderous rumble rang out, gradually growing nearer. From nowhere, Rene Rast popped into shot, emerging from the dip at Dingle Dell. A 'pop-pop-pop' of the brakes before he flashed out of sight was as good a statement as any that the DTM was back in the UK. The series has been here before, but not as we know it. 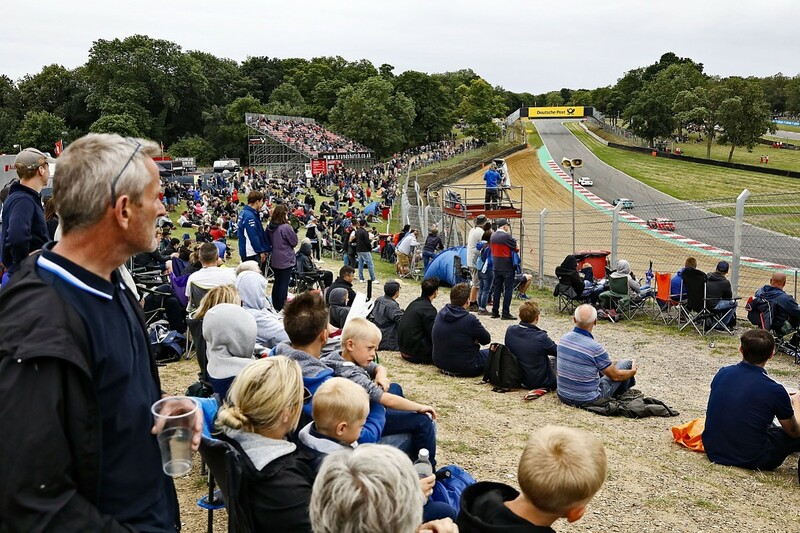 Last weekend's Brands Hatch round - five years on from the DTM's last visit to Britain - was the first to be held on the Grand Prix loop: a step into the unknown. Events on the longer track are far from a frequent occurrence. Brands is limited to just 24 days of running on the full circuit - that's an average of two days a month - which also meant the DTM event was restricted to just Saturday and Sunday. That was always the plan, but it was actually that quirk that helped make the event successful. The schedule change meant Friday's first practice was shifted to Saturday morning, running almost back-to-back with practice two (five minutes was allocated for the drivers to complete practice starts in between), while qualifying started a little over two hours later. "The difficulty is the timing, because you don't have a lot of time between practice and qualifying - only 80 minutes," said Rast. "To nail the set-up, let's say in two or three hours, is very difficult - especially when you don't have a lot of driving time. It's more like a guessing game." As Rast suggested, the compact schedule had a consequence. Yes, the format made things more difficult, but that was the first part of a double-whammy for the drivers - some were learning the track for the first time. "You are more excited when you drive it and when you find the limit, and it also feels like it's a completely different approach to the weekend, because on other tracks you would always start with 105% [of] what the car can do, so you will always drive over the limit and calm down and find the right compromise," says ex-Formula 1 driver Pascal Wehrlein, who became noticeably more animated when asked to describe his first experience of Brands Hatch. "But here you can't do it, you need to find the limit starting from 90% and then going up. That's a nice challenge." BMW's double DTM champion Marco Wittmann added: "It was pretty tricky, especially because for most of the drivers the track was new. Even on my side, I'd just driven on the short version [in 2009 and '10 in the Formula 3 Euro Series and when the DTM most recently visited the UK]. "You didn't have time to look into the data, take a closer look at the set-ups to improve your driving style and so on, because it was all so compressed. The timing was two free practice periods, right behind [one another]. On a usual weekend, you have a Friday practice, then you can look at the data overnight and maybe improve." The challenges inevitably favoured those with recent (although you could probably swap that for 'any') experience on the loop on the Saturday. Robin Frijns (who finished seventh in the Blancpain Sprint Cup round in 2017) and Augusto Farfus (a winner on the GP loop in the World Touring Car Championship) were fastest in practice, while Daniel Juncadella - another to have contested last year's Blancpain event - claimed his second career pole in the space of four races (having waited until his 64th DTM qualifying session to achieve his first). Juncadella felt no need to hide the fact that he felt more comfortable than most. 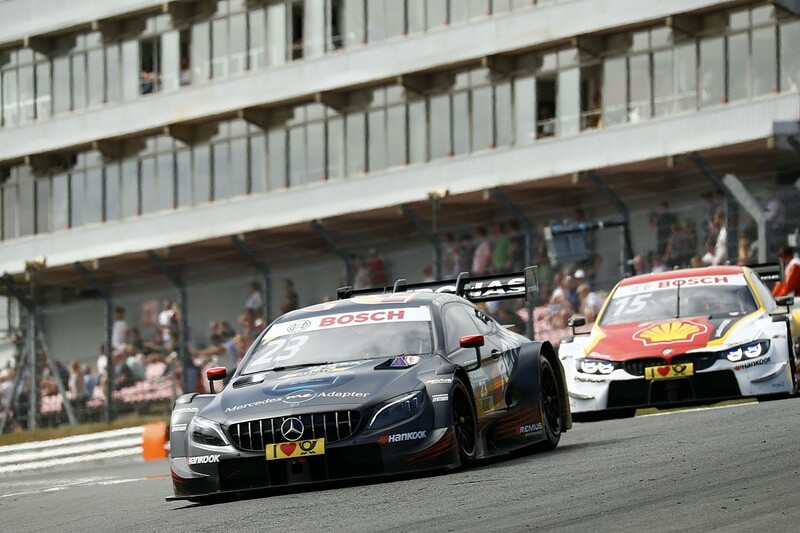 "I had a little edge over the others because when you drive on Friday you can go to sleep, analyse everything better and find again little things," he said, speaking after converting pole into a first DTM race win despite dropping to third early on. "Today was all in a row so that was like Formula E style. That was cool." Granted, the advantage those with previous knowledge of the track had was sizeable - but that wasn't necessarily a bad thing, since it helped shake up the order. Before the Brands Hatch weekend, all but one of the first 10 races of the season had been won by drivers in the top five of the standings - Rast, the winner of the previous race at Zandvoort, was the outlier. 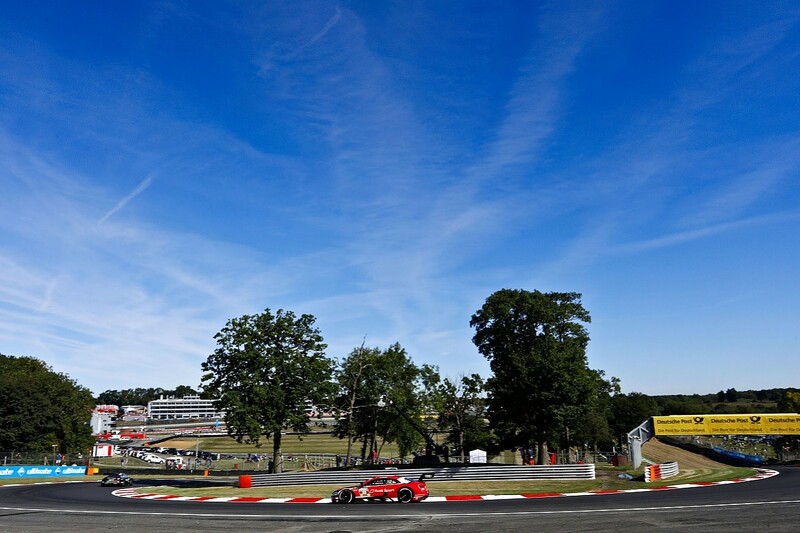 But championship leader Gary Paffett was the highest-placed of the top five overall in race one at Brands in sixth, while Edoardo Mortara and Wittmann achieved only minor points. They still fared better than Timo Glock (who started seventh but suffered a change in balance that was "hard to understand" and made his race "painful" as he dropped to 13th), and Paffett's chief title rival Paul di Resta - who didn't look close to the points at any point and ended up 16th. Things were different on Sunday as those short on GP loop experience caught up, and a change of one part - "I'm not going to share what the part was" - helped di Resta qualify second, then defeat Paffett in the race for his second win of the season. But in a series famed for its unpredictability from race to race, the short lead-up time was yet another variable thrown into the mix. It's no wonder Mercedes boss Ulrich Fritz, who was "thankful" his HWA-operated outfit fought back to win both races after "struggling" in practice, had described the event as the "first real unknown for us this year" ahead of the weekend. The unique task for the majority of the field of having to learn the track means such vast jumps in performance witnessed from one day to the next aren't likely to be repeated week-in, week-out. But it does raise questions over whether the DTM's enforced experiment might be something worth further investigation. 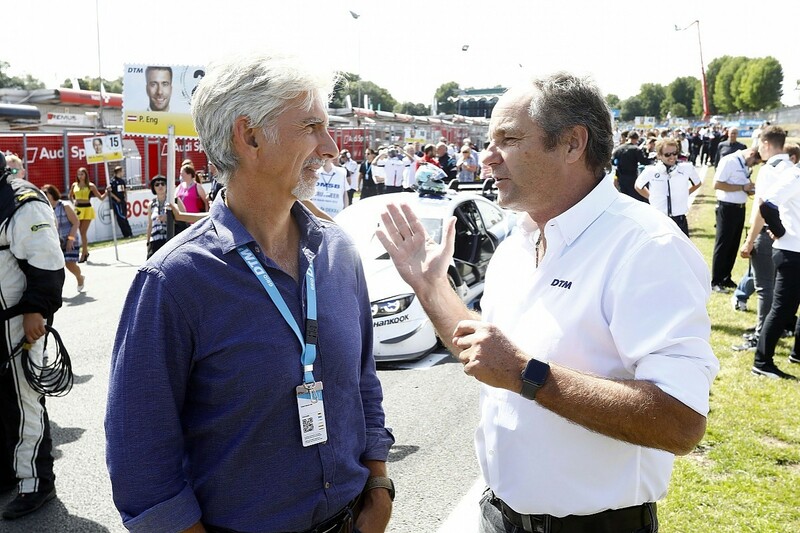 ITR chairman Gerhard Berger, who stressed racing in Britain was "a must" for the DTM when its 2018 calendar was revealed last December, said the weekend had proved such a format was "doable" but stopped short of saying it could be implemented elsewhere. "It was quite fitting for us to give it a try," he said. "Normally we would most probably stay with our format but it was good to try it this way." The schedule was certainly a hit among the drivers. "I'm a big fan of it," said Loic Duval, when asked about the two-day format. "I'm more used to it with some of the other series I've been racing in, like Formula E, where everything happens on the same day. For me, it's pretty cool to try and put everything together in a really short time." Rast added: "I liked the format to be honest. It compresses everything, it makes life a bit more difficult, but it's very nice." Even those who felt hampered weren't completely against the idea. Jamie Green, who said the truncated schedule was the "worst-case scenario" for him given that his last experience of the GP loop had come in British Formula 3 a decade and a half ago, felt it had merits. "It's just hard trying to get up to speed with very little time to analyse things," he said. "I wouldn't be against two-day events, it's just that this is a track I don't know. There's less track time than a normal weekend so it makes it a bit more difficult." As for the circuit itself, once the predictable - and perhaps not quite as cliched as usual - "old-school circuit" references had been wheeled out, the drivers were quick to find praise. "I really love this track. There's one corner which is very special and that's Turn 5 [Hawthorns] because you arrive so fast and especially when you are in a fight you arrive side-by-side through this corner, it gives you a big boost," said Wehrlein, no stranger to driving F1 machinery through iconic corners such as Eau Rouge or 130R. "The track is really nice - no run-off areas, one mistake and you end up in the gravel, but most of the time you would end up in the wall. I prefer these tracks compared with tracks with a lot of run-off area." Was the weekend a success? Undoubtedly. But that's not to suggest everything was perfect. As spectacular as the GP loop is, the fact it remains unspoilt (yes, unspoilt, for catch fences added for this year have not ruined its charm, as the first sight of cars charging through Dingle Dell on qualifying runs confirmed) means overtaking is difficult, and the DTM's efforts to reduce downforce for 2018 only went so far in combating that. Di Resta and Green were both favourable in their reviews of the track, but when pushed suggested Donington would be a viable UK alternative, owing to its similar stature of corners - think Craner Curves, the Old Hairpin and Coppice instead of Paddock Hill, Hawthorns and Westfield - but with better overtaking opportunities. Berger suggested Brands had "a lot of soul" and DTM needed "to cope with" a lack of overtaking, but Jonathan Palmer, the boss of MotorSport Vision, is understood to be open to talking about the possibility of using Donington with ITR. 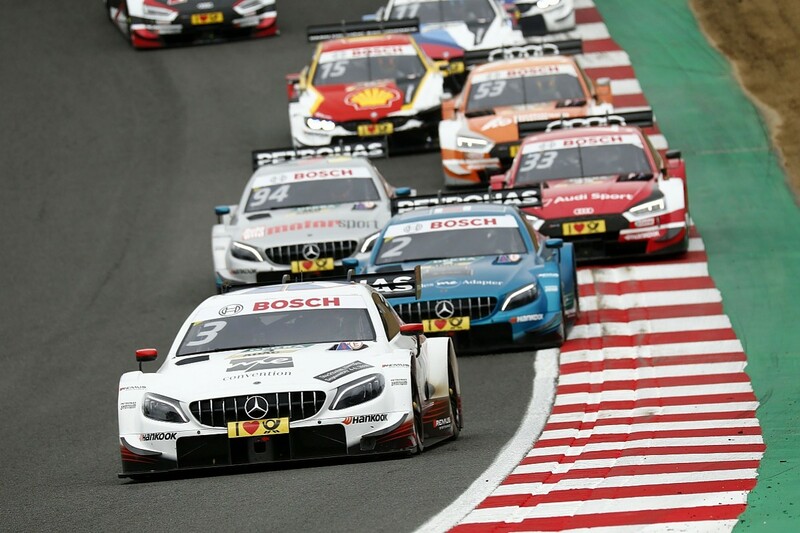 The DTM-Brands deal shares similarities with the WTCC's groundbreaking Nurburgring Nordschleife arrangement, one key difference being the one-year DTM commitment versus the original three years agreed for the WTCC. In both cases, the reward appears to have been far greater than the risk. If the only major question to come from the DTM's gamble to return to the UK is if a future event could be better by changing venue, rather than whether it was worthwhile, then it surely has to be considered an experiment that paid off.